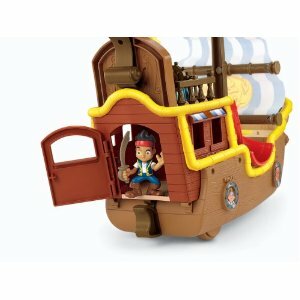 Get this Fisher-Price Disney’s Jake and The Neverland Pirates – Jake’s Musical Pirate Ship Bucky for just $44.99 Shipped. Based on the very popular Disney Jake and The Neverland Pirates this toy is one of the most wished for right now! 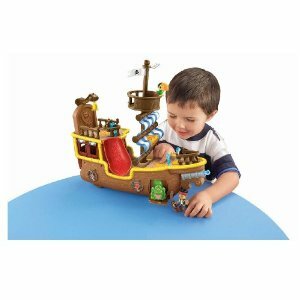 Any young pirate is going to love the Fisher-Price Disney’s Jake and The Neverland Pirates – Jake’s Musical Pirate Ship Bucky! The suggested age range is from 3 to 6 years old. It has everything a young pirate needs! The feature the kids are going to like most is the spring loaded canon! It also has some great sound effects and phrases from Jake and the Neverland Pirates. This is a great toy and will provide many many hours of creative play.